Manifesto! is a two-stage project I co-curated with Shelly Cho and Jessica Yang on April 10th and April 18th, 2010. The project was orchestrated in collaboration with the non-profit literacy organization 826LA and LACE’s exhibition Art Against Empire, featuring work by the Center for the Study of Political Graphics. Click through for project description and documentation. 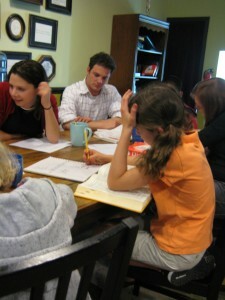 The first stage took the form of a manifesto writing workshop taught to kids ages 8-12 at 826LA’s Echo Park writing center. After becoming familiar with the literal rhetoric of the historical manifestos, students analyzed the influence of visual rhetorics, especially as seen in Art Against Empire. 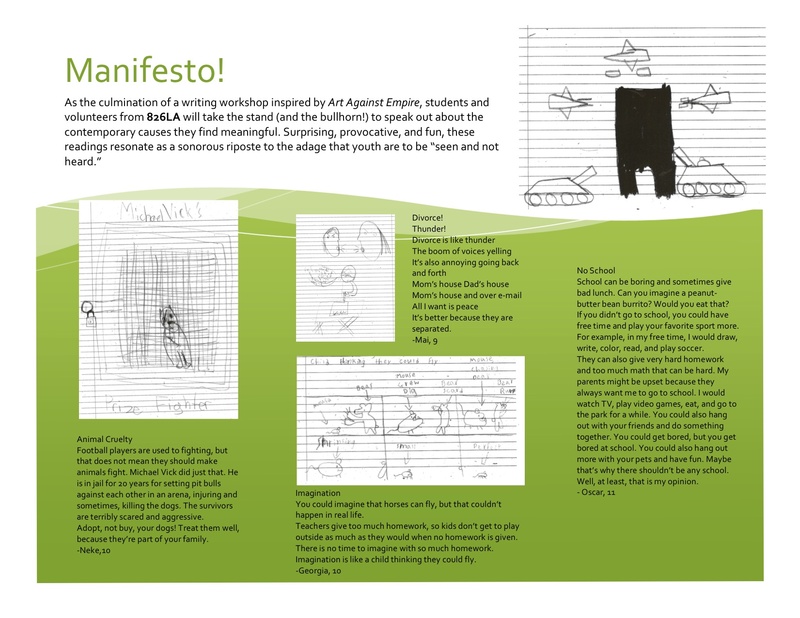 The workshop culminated in students’ presentations of their own manifestos, some of which you can see here. 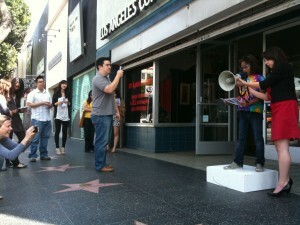 The second stage of the project took place on the sidewalk in front of LACE’s gallery space on Hollywood Boulevard, right in the middle of the Walk of Fame. 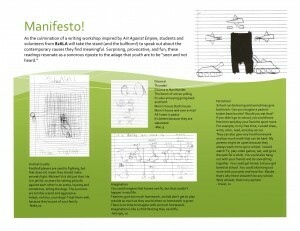 One by one, students from the workshop stood atop a soapbox and read their manifestos into a bullhorn. Side one of the brochure distributed on Hollywood Boulveard during the performance. 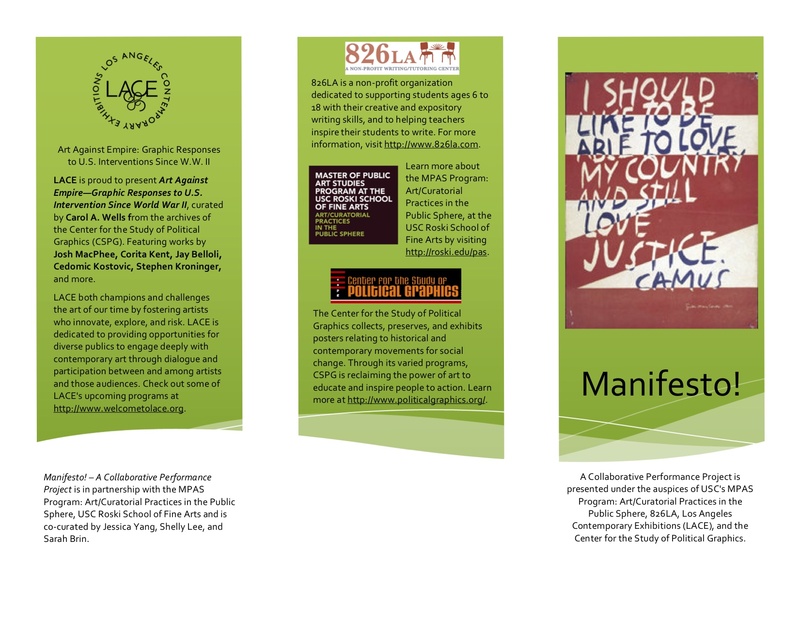 Manifesto Brochure Side 2 (includes manifesto texts by students). Working with workshop participants at 826LA. Mai (age 8), reading her manifesto in front of LACE on Hollywood Boulevard. 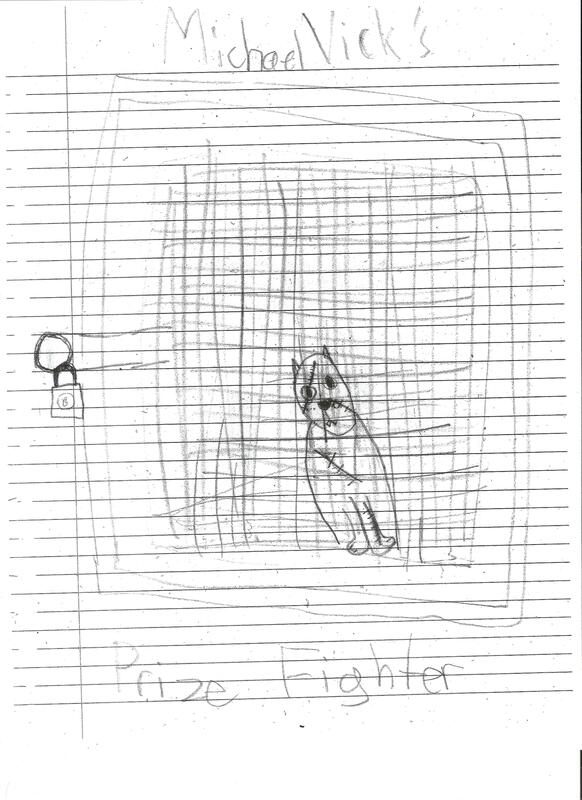 Student illustration for a manifesto against animal cruelty. 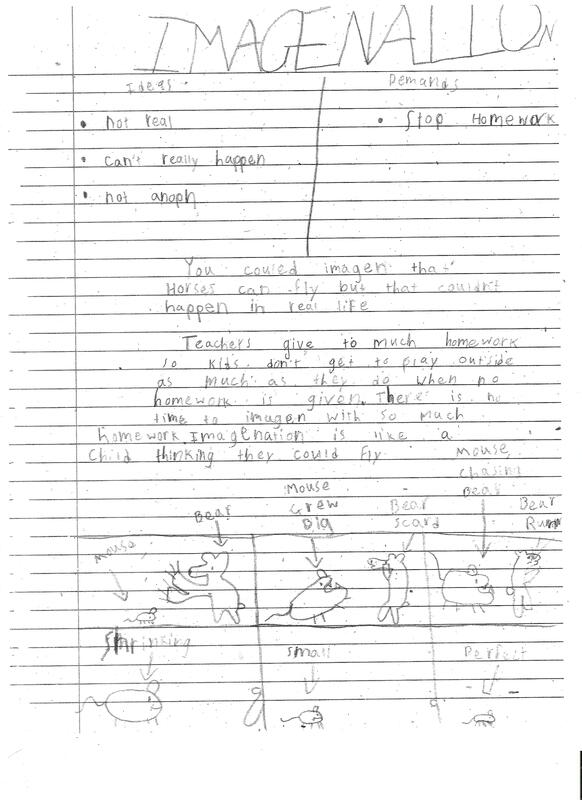 Student manifesto on the importance of imagination.